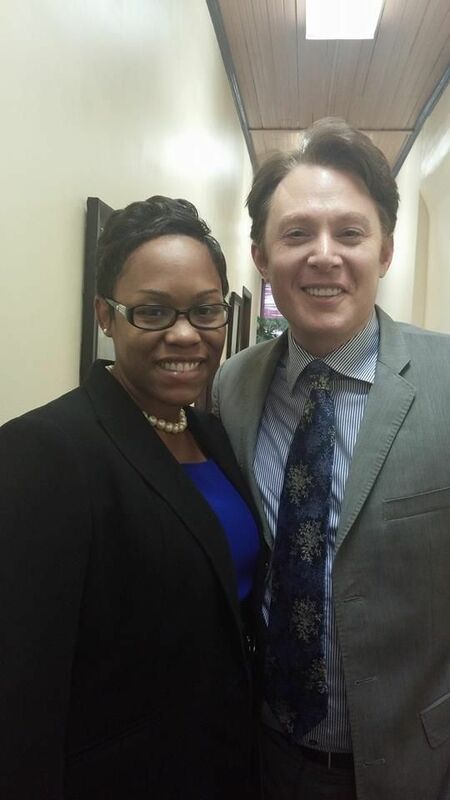 Clay Aiken – Amid The Heavy Rainstorms! 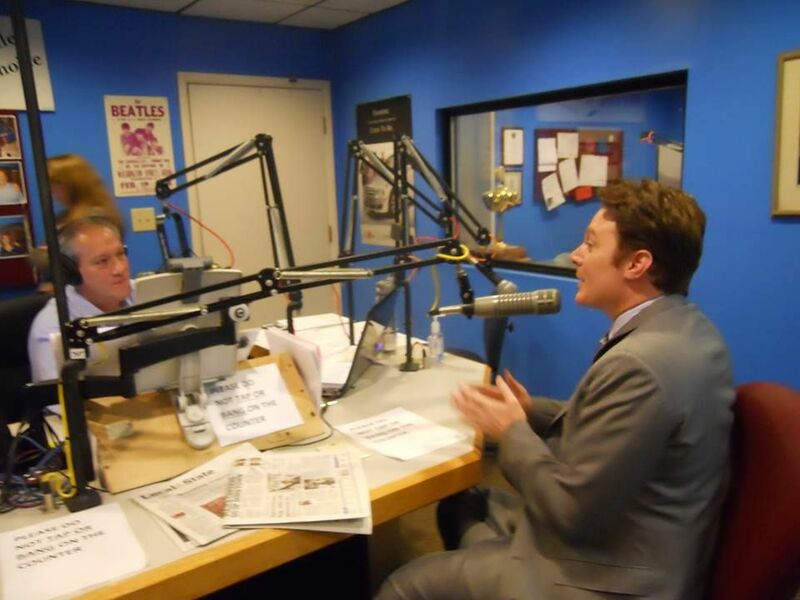 Clay Aiken had a long day on Tuesday. Amid the heavy rainstorms, Clay started the day by driving to Fayetteville. Because of the storms, the traffic was, according to Clay, “Atrocious”. 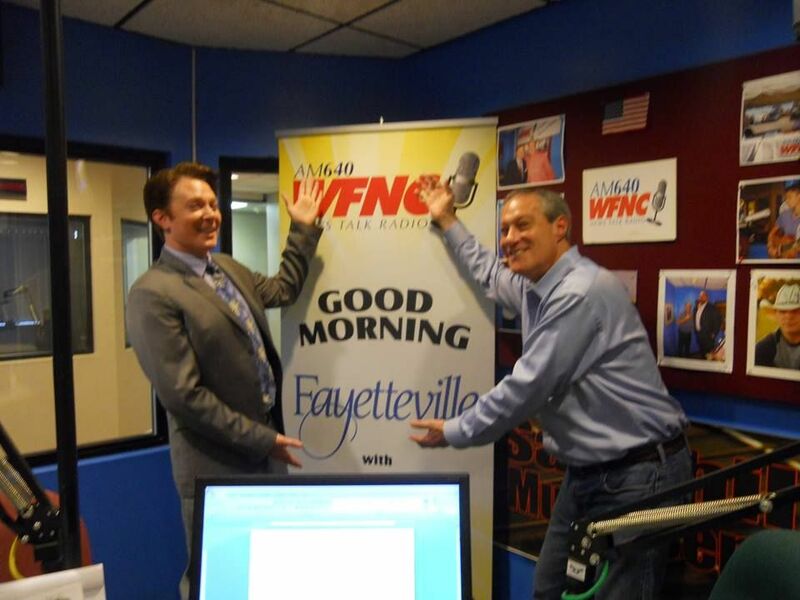 Clay was scheduled to speak with Goldy and Jim at WFNC 640AM on the morning show. According to the station, Clay was only a few minutes late. The beginning of the conversation started with some questions about American Idol. Clay said that he was able to meld his experience on Idol with his passion for teaching and create his charity. He also mentioned that the DJ’s still ask what Simon is really like! Jim gave Clay the opportunity to talk about The National Inclusion Project, UNICEF, the Presidential Committee and even his hometown “Y”. 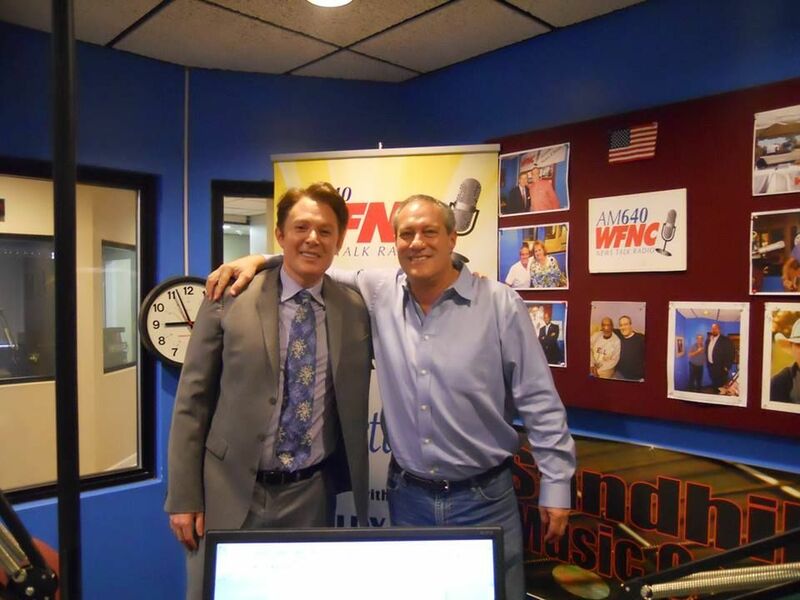 Finally, Jim asked Clay some questions about running for Congress. They talked about why Clay wanted to run and how he can make a difference. They also talked about teachers in North Carolina. Clay said that in NC, the state is actually training teachers for other states at this point. Friends come here to get experience, and then they go to other states where the pay is better. Economy – if you want to talk about economic development, you need to start with education. Education – Strong school systems attract businesses. Funding education is the key to a strong future work force. All the girls are out in the lobby getting their pictures taken with Clay. Hilarious! I hope that Clay will be able to visit and chat with Jim again. Clay was able to share a lot of information with the listeners. 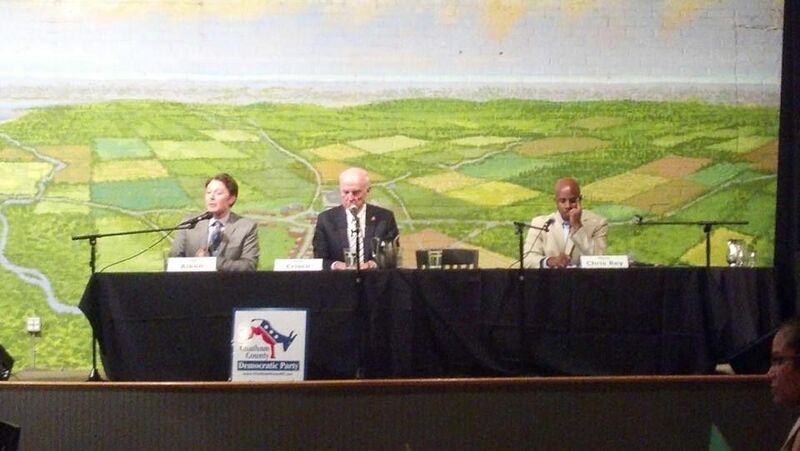 At 6:15PM, Clay attended the Lee and Chatham Democratic Parties 2nd Congressional District Candidate Forum. The event took place at the Pittsboro Roadhouse and General Store. Three Democrats are running in the primary for the right to run for this seat representing the Democratic Party. They will present their case and answer questions from the audience. Unfortunately, Toni Morris was not there. 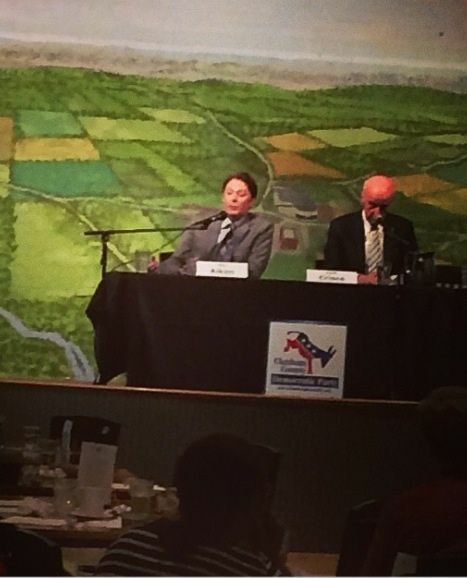 Both Keith Crisco and Clay Aiken gave an opening statement and then answered questions from the audience. Mayor Chris Rey was the moderator of the evening. So far there has been little information about what was said in this mini-debate. Today will be another busy day for Clay and his team. As always, I will post the news here as soon as it is available. I hope you will check in! I try and check in during the day! Thanks for bringing everything you do musicfan! I love having it all here in one place! Clay is so busy!! Thanks for all the info, Musicfan. Clay sure is a busy guy! He is enjoying this! Error: Error validating access token: Session has expired on Tuesday, 21-Aug-18 16:13:01 PDT. 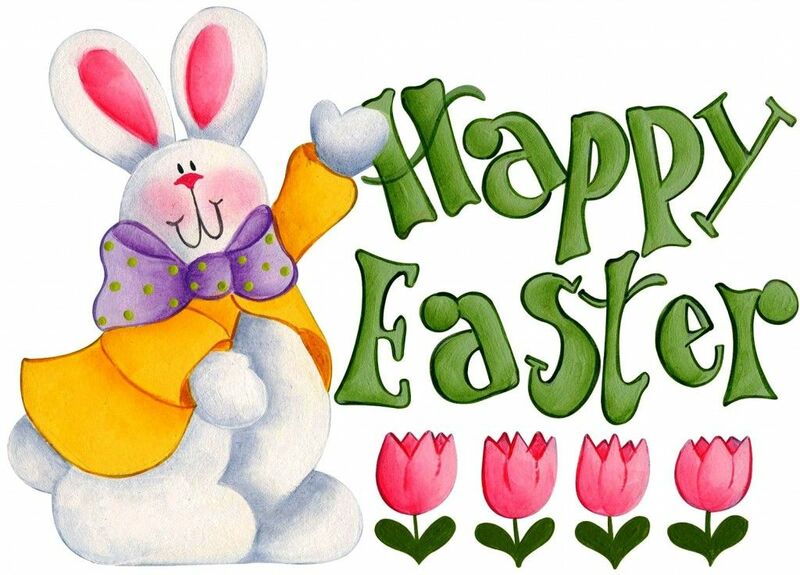 The current time is Thursday, 18-Apr-19 06:03:19 PDT.